HomeBlogHome DecorFlora Elevation planters, design by Arik Levy. 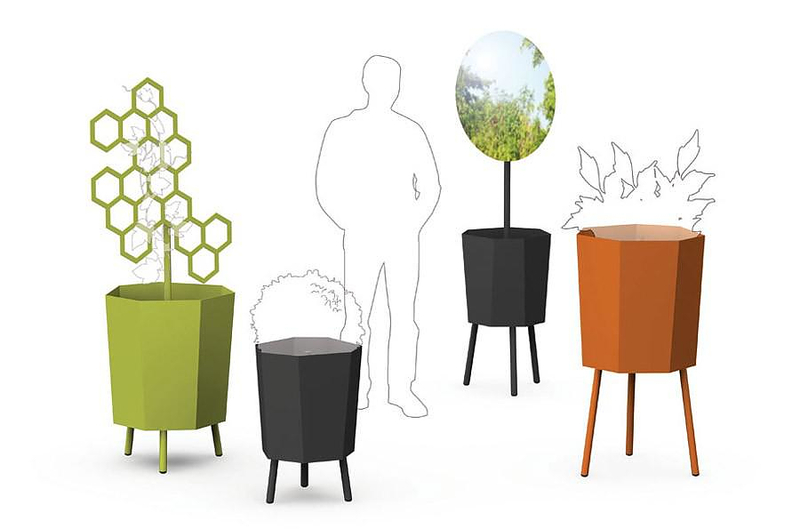 Flora Elevation planters, design by Arik Levy. German brand Flora specializes in manufacturing gardening tools and furniture for outdoor use since 1875. Its products are characterized by the use of advanced technical solutions and comprehensive quality certification procedures. 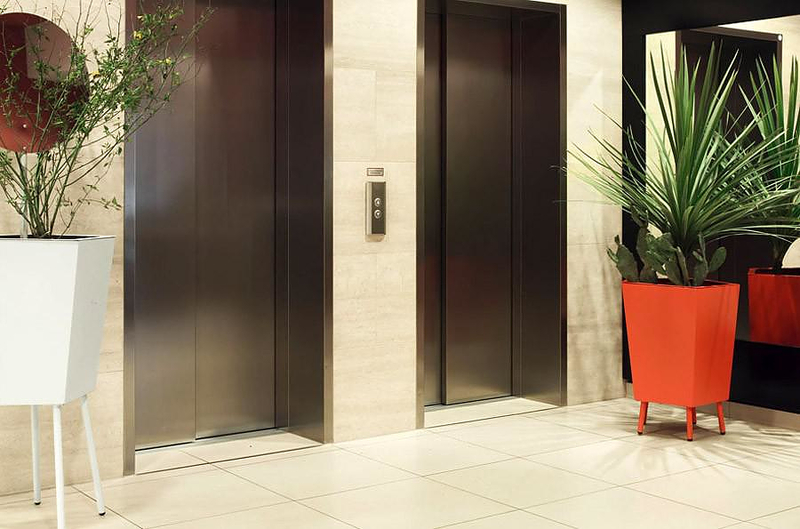 The planters shown above are part of the Elevation series of products, designed by the talented French designer Arik Levy. 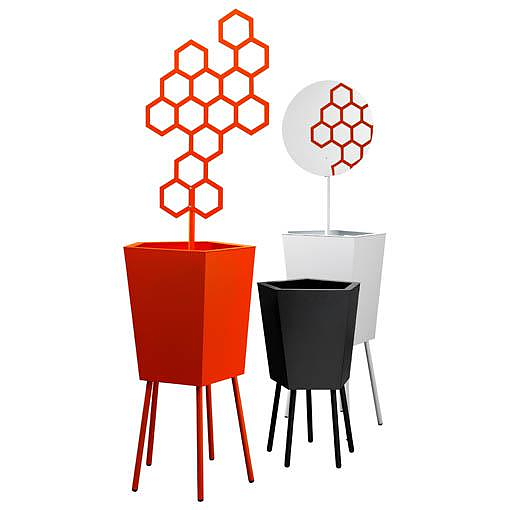 Their hexagonal shape has bold futuristic elements, while with the addition of the funky accessories that contemplate the basic planter, the user can customize the object in accordance to his needs. 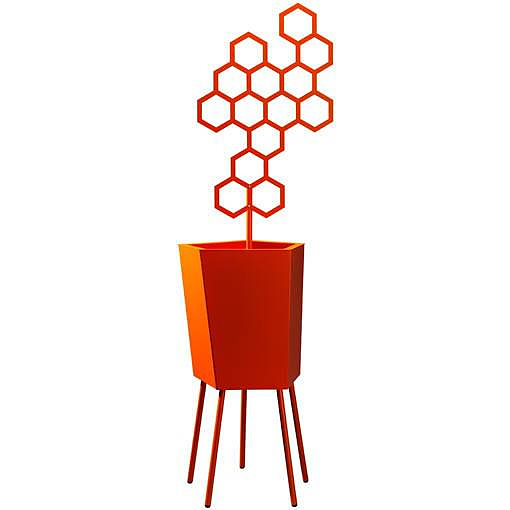 The fascinating honeycomb structure for example, is used to supports climbing plants by allowing the tendrils to climb and twist, while the funky looking element with the mirror boosts the plants presence by creating a reflection of your favorite plants. 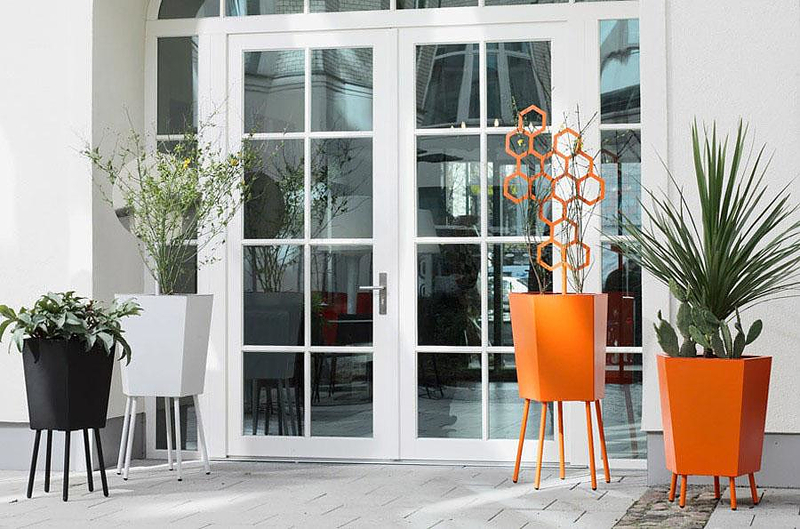 Flora elevation planters are available in three sizes and colors. They are made of aluminum sheets and painted using the “powder coated”. Powder coating is applied as a free-flowing dry powder and then it is electrostatically cured under heat. The result is a finish much harder than conventional paint, comparable to the kind of coating used on cars. 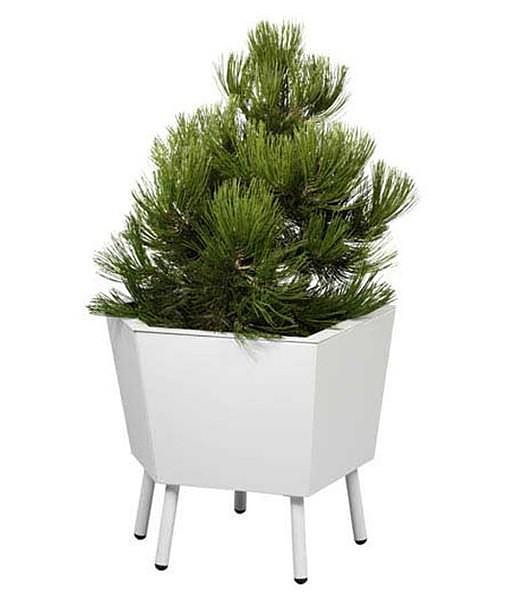 Elevation planters are supported by metal legs, which makes cleaning easier, as the bottom planter is not in direct contact with the floor. 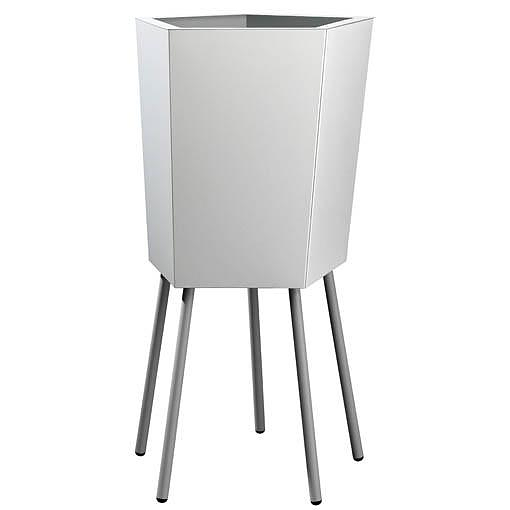 The legs are made of steel and their edges have a soft synthetic material finish to avoid marking the floors. Fine details like those make Flora products stand out, to quote Charles Eames, “The details are not the details. They make the design”. 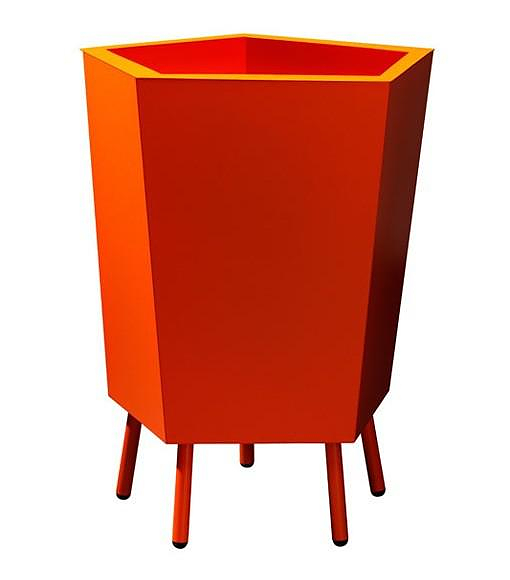 Innovative Flower Pots by Serax. Ienami Bonkei Planters by Metaphys. Alphabet City Lights by JDS Architects for ewo.